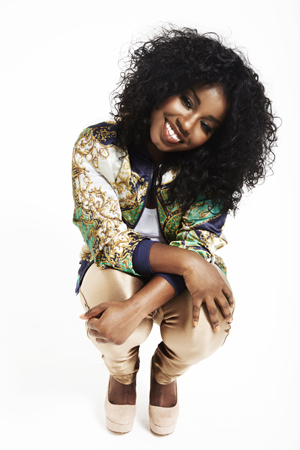 20 year old rising Mancunion star Misha B was propelled to fame from the day of her X factor audition when she sung a sassy rendition of Aretha Franklin's 'Respect'. Since losing out on a place in the final Misha has been involved in the X factor tour and has been hard at work in the studio producing her new single 'Home Run' as part of her upcoming debut album. TNS: Are the rumours true that you've been asked to be part of a Tim Burton film this Autumn? Misha: No, unfortunately that’s not true, I've just been hard at work in the studio. You did a lot of adding your own raps to songs during your time on the X factor; do you think it is important for artists to write their own material? Yes definitely, there’s nothing actually wrong with singing lyrics that someone else has written but finding your own connection with the song is very important, you need to really feel passionate about it to do any song justice. Can you describe your new single ‘Home Run’ in as few words as possible? Fun, mischievous, fresh and exciting. I've heard you used to be a busker - did that influence your decision to go on the X Factor? Do you think that built your confidence? Definitely, I started busking to overcome my stage fright. I needed to find a way to get over my fears because I didn’t want it to affect my career. Busking became that method of getting over the stage fright. I still get emotional over what busking did for me even now. After a while more and more people came to see me and the crowds grew so my confidence grew. Meeting people all the time and meeting other people who busk was amazing. Do you have any goals aside from being a successful artist? If I wasn’t an artist I think I’d probably be a teacher or work somewhere within a school. You were renowned for your fashion choices on the X Factor; would you consider a career in fashion? Yes I’d definitely consider it. Somewhere along the line I’d love to work in fashion. Maybe not just yet but I definitely see it as being something that would be great to do in the future. So you must be doing a lot of interviews lately; what question do you get asked the most? Anything about the X factor or any music that I’m influenced by or working on at that moment. Those are questions in most interviews. I’ll avoid those questions then! Is there anything else you'd like to tell students? If there’s one thing I’d like students to know it is that you should always believe in yourself. It’s very important to me that I believe in myself. Don’t let anyone put you off if you want to achieve something. Students should believe that they can achieve their dreams. Misha's new single 'Home Run' is due for release on the 15th July 2012 through Relentless Records. She has worked with a diverse range of producers including MNEK, TMS (involved with Professor Green and Wretch 32) and Naughty Boy (involved with Emeli Sande) on her upcoming album. 'Home Run' is just a teaser of what is to come for Misha. She tells us: 'Home Run is about that special someone who gets you so excited, so hyped that you lose control! When I perform it, I feel that same energy on stage - it makes you want to dance! It is based on a ballad I wrote about my ex and I just changed it up to give it a fresh, fun vibe.' And with remixes by people such as Kat Krazy, Zed Bias and Taiki & Nulight, this track is set to be a summer dance floor tune.